10 Sweet & Simple Tips for New Yoga Students. When I was in high school in New York I had a neck injury that caused great discomfort. When suggested to do yoga, I tried it from a Lilias Folan VHS tape, since this was before the days of seeing yoga studios all over. Within one 30 minute video session my months of prior neck pain as well as other tensions and anxieties completely vanished. 1. 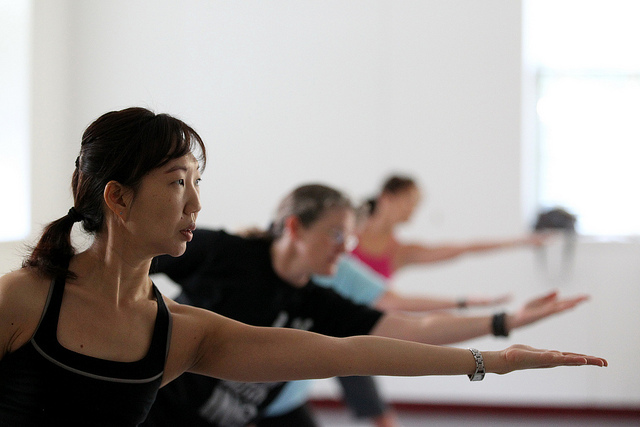 In yoga class or on your own, only do the postures or exercises that are comfortable. Here’s my two minute home yoga practice. Check out the video or read the steps below! *Please check with your doctor for any injuries or health concerns. 1. 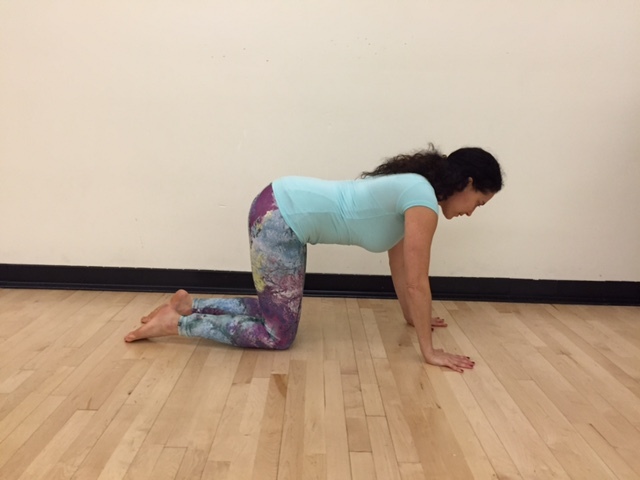 Table Pose: Start on all fours with your hands under the shoulders and the knees under the hips. Cushion your knees if needed with a blanket or yoga mat. 3. Cat Pose (Marjaiasana in Sanskrit): Exhale as you round the back, relaxing the neck. Keep the fingers stretched out on the floor evenly. This posture releases back and shoulder tensions and is a great way to release your neck and back after a long day at your desk. You can hold for 1-5 slow, deep breaths. 4. 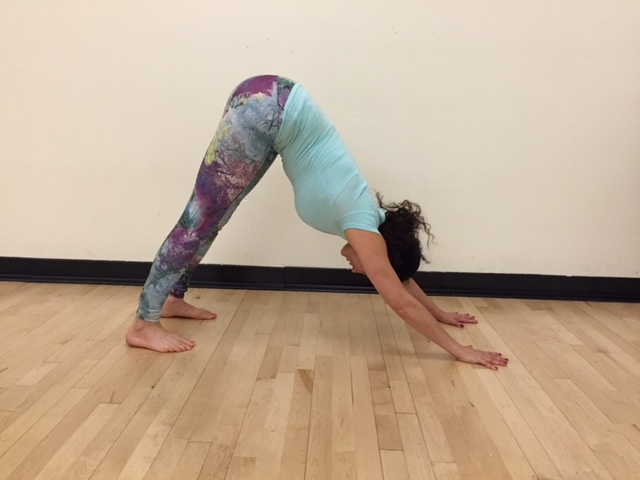 Downward Facing Dog (Adho Mukha Svanasana in Sanskrit) with the knees bent: as you exhale turn the toes under and lift the hips, creating an upside down triangle shape (like a dog stretching). Repeat the steps above, allowing the knees to bend only if the hamstrings need a more gentle variation. Otherwise gently reach the heels back and down as you extend the spine and hips. Spread the fingers wide. Hold 1-5 slow, deep breaths. Rest in child’s pose: sit on the heels and rest the forehead on the floor in front of you. 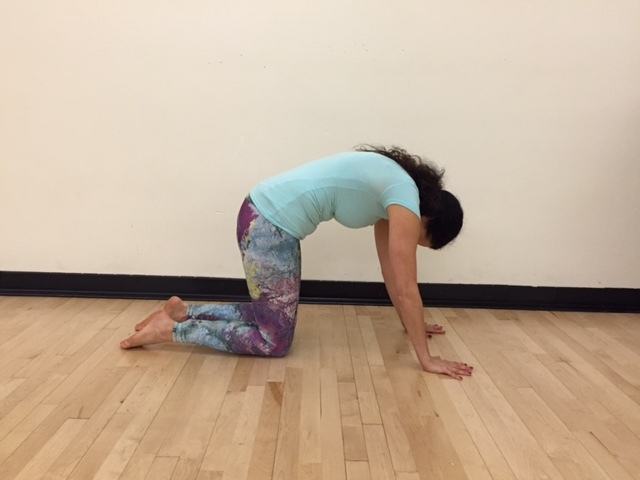 Child’s pose restores energy and eases the lower back and hips. Slowly roll the spine up and enjoy the benefits of a two minute yoga practice. “Serve. Love. Give. Purify. Meditate. Realize.” ~ Swami Vishnu Devananda. 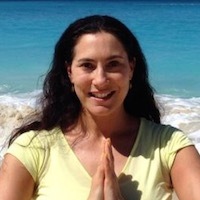 Nice information i have gain many new things about the Yoga classes thanks for sharing. Thank you SO MUCH for the article on 25 poses. I'm attempting in between yoga classes to safely practice at home. This will be SO helpful! Thank you, Thank you for sharing! Great points! Beautifully conveyed. Thank you for sharing this article.